I’m sick in bed today with a migraine and a sinus infection…so here’s a blast from the past. When I was a little girl, living in Starkville, Mississippi, I saw something so wonderous and beautiful that it changed part of me forever: the migration of the Monarch butterflies. Imagine a tree, an ordinary tree, that overnight comes alive with black and orange dancing leaves. It’s how I remember this event in my mind. Perhaps I am only remembering other’s memories…but I think not. I lived for years in Evansville and smiled and nodded as people pointed to a Viceroy and called it a monarch. They were still pretty…but they didn’t hold the same mystic for me. 1. In their larval stage monarch caterpillars feed almost exclusively on milkweed and as adults get their nutrients from the nectar of flowers. The monarch will always return to areas rich in milkweed to lay their eggs upon the plant. The milkweed they feed on as a caterpillar is actually a poisonous toxin and is stored in their bodies. This is what makes the monarch butterfly taste so terrible to predators. 2. Millions of monarch butterflies make the trip down to Mexico to roost for the winter. During the migration tens of thousands will land on a single tree in certain areas along their migratory path. 3. Monarchs can travel between 50 – 100 miles a day; it can take up to two months to complete their journey to winter habitats. 4. 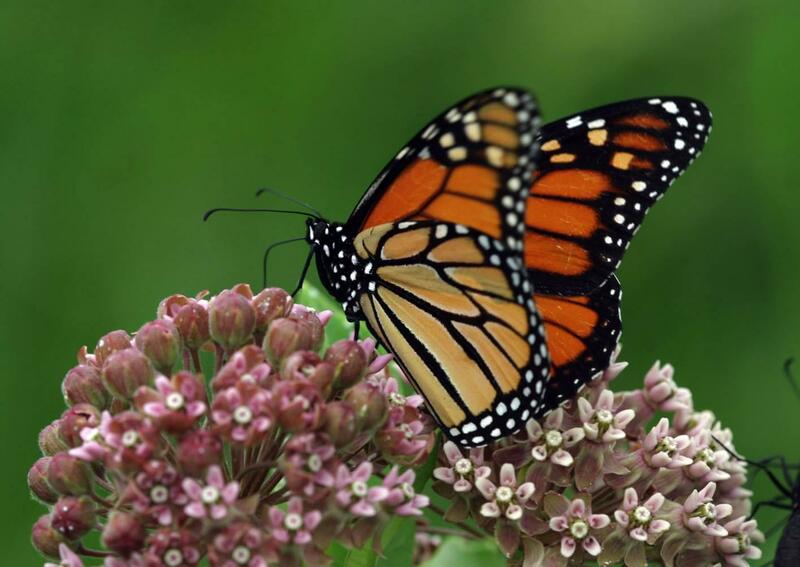 More than 90 percent of the monarch population has vanished in the last 25 years. 5. Currently 8 states have the monarch as their official butterfly/insect. I know something else about monarchs…I know the joy they bring me. I have one butterfly garden that includes both caterpillar and butterfly host plants and to sit there at the peak of the butterfly season is truly breath taking. There are swallowtails, skippers, spicebush, sulphers, fritillary and admirals, buckeyes, painted ladies…but none hold my heart like the monarch. Wonderful image, I have been photographing butterflies for three years. The first year I saw and photographed one monarch last year I photographed about twenty different subjects and this year has been crazy seen hundreds of them and I have photographed so many it has been amazing !! I’m enjoying your pictures very much. I’m usually to busy staring to remember to get the shot.